The Symposium/Convention is a large event & requires all hands on deck to be successful. Volunteering is a great way to get involved in NSH & be a part of NSH’s premier educational event. NSH awards up to 2 contact hours per year for volunteering at NSH events or on NSH projects. Volunteers that participate in any tasks listed below will be eligible for 2 volunteer contact hours in 2018. If you are able to assist in any of the following positions please click the link and complete the sign up form. 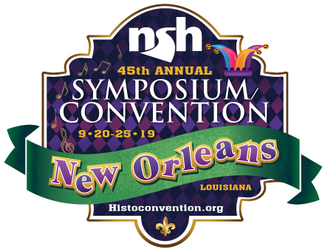 The NSH registration desk is a great way to see old friends & meet new ones as you greet and check in S/C attendees, speakers and exhibitors. Volunteers are needed from Friday, Sept 20 - Monday, Sept 23 for help at the registration desk.